Hello everyone! My IGN is pinkbrick and I’ve been enjoying the community of DragonTech for some time now… most recently with the newly released server, Arcana Technologies. Of the current three servers DragonTech offers, Arcana Technologies offers me the best jumble of mods I most enjoy. Unfortunately, growing discontent over server performance is precipitating changes to the mod mix… changes that are aversely affecting the very reason for playing this particular mod-pack. Part of playability seems invariable linked to peep census… it makes sense if a mod is particularly demanding on performance, that the more often it is used—as more and more peeps use it—the more adverse issues the server will suffer. Likewise, if the players live in close proximity to one another on the server, local performance complications will be likewise compounded. I totally understand that staff is working EXTREMELY hard to find solutions. 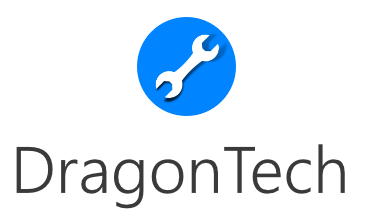 I love EACH and EVERY staff member of DragonTech… you guys are the most important reason I spend hours and hours immersed in your creation. I can not emphasize enough my appreciation for all the amazing work you all contribute, and please do not view this post as a negative perception of your abilities… I only wish to bring to your attention my concerns over currently proposed changes. Anyways, I'm done ranting for the day… sorry if I sound foolish… and I do apologize if I seem to meander and stumble from point to point… I don't post on forums very often, and I'm definitely not good at it. Firstly I'd like to apologise for the lag issues, we are doing our best to fix them, and if you have been in the Discord, you know it's basically all anyone talks about! Like this I posted just half an hour ago. It really has been a huge challenge for us as we can not pinpoint the problem which is causing these issues. I know a lot of people have been asking questions, making (mostly unhelpful) suggestions and wondering about our decisions, so I'm just going to go ahead and clear some of those up. What lag is it? We're getting both TPS lag and lag spikes - we have a few tools to check for the causes of these, but nothing is showing anything significant, making it impossible to pinpoint the perpetrator. Why did you remove Pam's Harvestcraft? Many people questioned this decision as it, in fact, doesn't actually cause much (if any) server lag. We're currently trying to reduce the size of the modpack, a couple mods at a time, to both see what helps but also just to trim the modpack down in general so we can keep some more of the intensive mods, and so people with potato PC's can run it easier. What about the map? I'm losing all my stuff! This map was always intended as a short term Beta map - We knew that we'd run into issues and would have to make changes, as I stated in this post. The changes we're making are mostly as a long term solution, not a short term one. Aren't you worried about people leaving due to the changes? Of course! But no one wants to play on a laggy server, no matter what we do, we will not be able to keep everyone happy. If anyone has any questions which aren't up there, feel free to ask me them (And please only to me, I'm the only one who will have a full answer for you). We are trying our very best (I've done nothing but try work out this problem (and EL's crashing issue) for the last few days - Had no time to actually play anything). Sponge (the server mod which runs plugins) is still very new and options are still limited. Although we have a fair amount of staff, I'm the only one who really has any expirence running public modded servers (Falizure learned 95% of what he knows from me). Every decision Falizure and I make on Arcana Tech, we generally make together, discussing it thoroughly before hand. We're happy to take suggestions and feedback! However; it needs to be useful, questioning our decisions and saying stuff like "you should..." is not helpful! These comments can actually be really hurtful and add to our stress. If you have suggestions, you need factual reasoning to back it up, or at least some kind of expirence in the field. Also chances are, we've probably tried what you suggested anyway, so please be aware of how you state your suggestions/ feedback. So, in conclusion, we thank everyone for their amazing support, but please be patient with us, we are trying our best. We're not genius' or miracle workers. And sorry Pink for kind of hijacking your post! EDIT: Please also note that if the next round of updates (removals) don't fix our issues, we'll be reseting the map within the next 2 days. As Yepidoodles pretty well covered everything i don't have a lot to say on this however i do want to say how much i appreciate those of you who have stuck with us over the years, who have been with us for the ups and down and all of you who have given us positive feedback, i really can't express just how much hearing those words means to me and i am sure yepi herself, thank you for hanging on with us and thanks those of you out there i'm happy to call friends.